It's been raining for a whole week over here at North California. 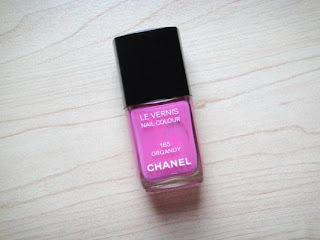 To brighten up the gloomy weather, I'm choosing the Chanel LE VERNIS Nail Colour 165 Organdy today. I bought this a while ago so I'm not sure if they still carry it in the stores. 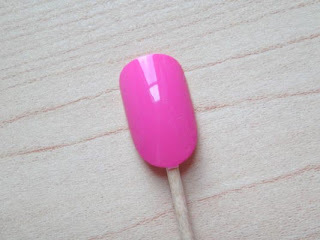 The color is a vibrant bright fuchsia pink. It has no shimmer at all. Since I was out most of the day today, when I got home it's pretty dark already. The lighting really sucked and I don't like how the pictures turn out at all. So I'll need to take some better pictures tomorrow so check back later. I did take some pictures today. But the lighting can't compare to the sunny days. I tried my best. 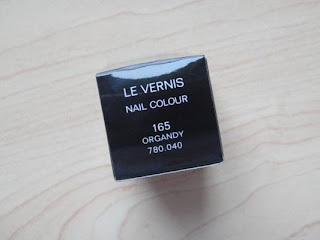 This polish was actually made in the USA (not France)! I know it's weird that I pay attention to where products were made. Same spill proof design like Dior's nail polishes. This is how it looks with 2 coats. 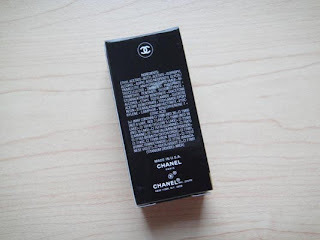 It's completely opaque with no shimmer. Yes I'm also a shimmer kinda girl but sometimes I crave for the rich bright matte color, just like the same way with the eyeshadows. 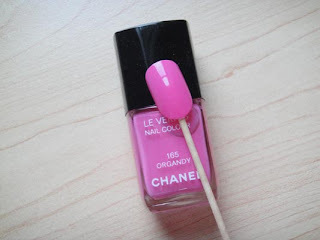 It's almost if not exactly the same color as it shows on the fake nail and in the bottle. I actually think this color looks better on my toes than on my hands. It should be dramatic enough for parties and maybe proms too. 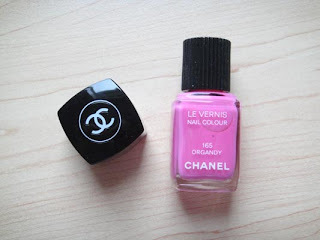 As for the quality, I never had any Chanel nail polishes on for over a week. They always chip on me no matter I put on base coat and top coat. I prefer Dior's formula. The drying speed is alright, not as fast as Coffret D'or or Lunasol. 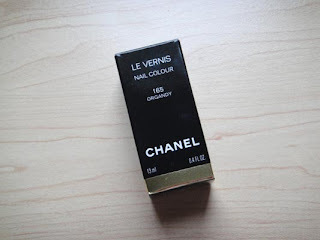 That's probably the reason why I stopped buying Chanel's nail polishes unless I really find some color that I love. i love the color, it's gorgeous! Freeze 24.7 to Keep or to Go?